The Ailsa Black exhibition featuring beasts both wild and domestic finishes this week. 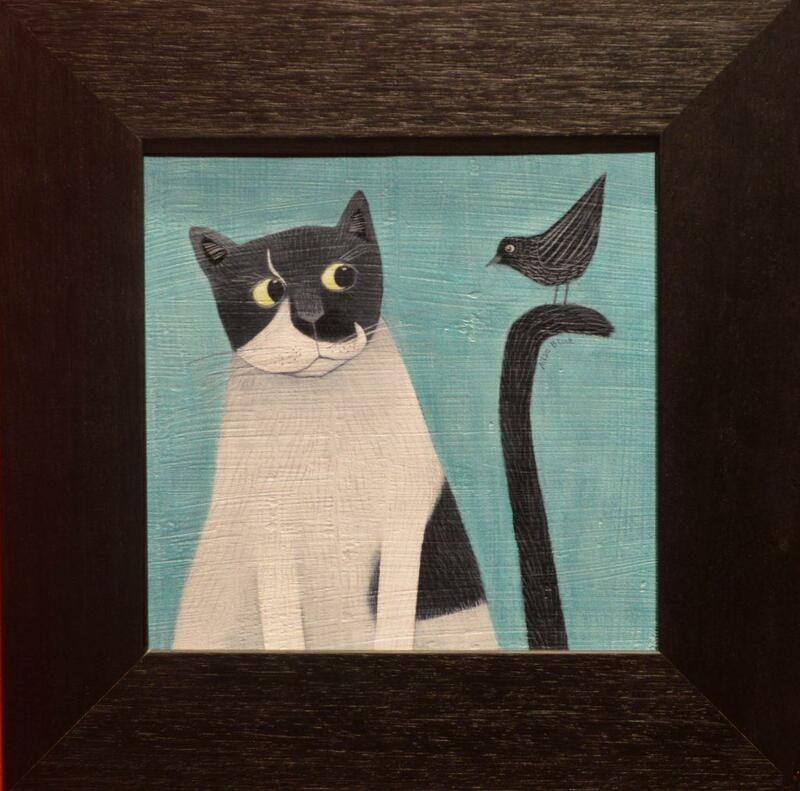 One beast which will be remaining in the Stirling Smith’s collection is Ailsa’s whimsical portrait of cat-in-charge Oswald. The painting has been purchased by an anonymous benefactor as a tribute to all of the marketing and publicity work undertaken by Oswald in the last 10 years. Oswald was appointed Head of PrRing in 2004, and does a meet and greet service for visitors on a daily basis. His favourite evening meetings in the Smith are those of the Stirling Literary Society, the Family History Society and the Stirling Field and Archaeological Society. He is also a supporter of Dig It! 2015, the Year of Archaeology. At night, he has security duties and is always on call. On Thursdays, he accompanies the team of volunteer gardeners who keep the Smith’s grounds smart. Oswald has his own Twitter account, @SmithSupercat, where you can discover how many birds he has caught. 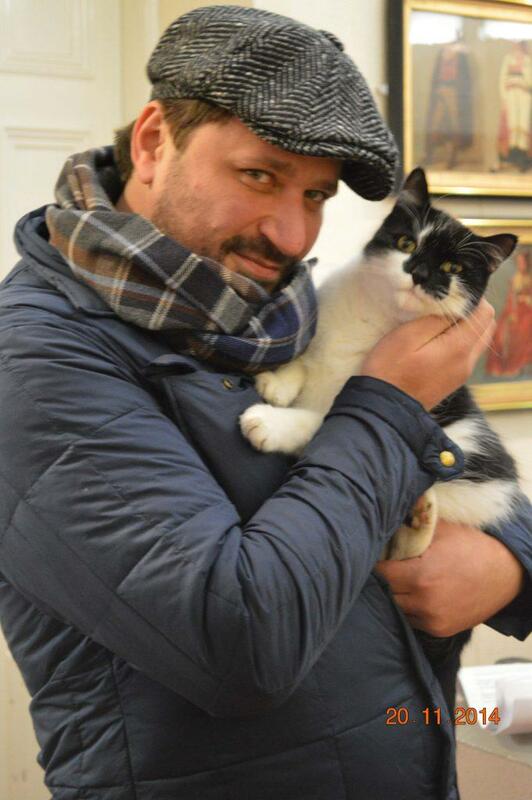 Recent appearances on the Japanese TV programme, Mr. Iwago’s World of Cats, and with Russia 1 TV star Victor Loginov for the filming of an episode of Cat Planet means that both he and the Smith have an international following on social media.